Beck Partners has partnered with Xero to deliver an Accounting System that is perfect for SME business owners. We use Xero in our own business and have implemented Xero Online Accounting and Payroll for many of our clients who now enjoy vastly improved bookkeeping efficiency and the benefits of real time cash flow reporting available online, anywhere and anytime on any device. This means all your financial data is stored online – so you can access it anywhere, anytime, from any device with an internet connection. Cloud-based accounting systems like Xero run in real-time, which means your data is always up-to-date. Xero uniquely provides a single platform where small businesses and their advisors can collaborate easily online. You can choose who you want to give access to your financial data, then log in and look at the same figures at the same time, without any complicated processes. 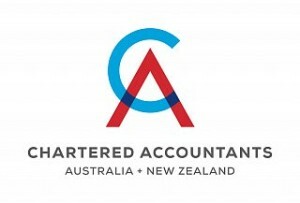 If you’d like to revolutionise the way your business does accounting, Beck Partners – Chartered Accountants can help you set up a free trial of Xero. There are no contracts and you can easily upgrade or downgrade your package at any time. To find out why small businesses all over the world love doing their accounting online with Xero, contact Beck Partners today.